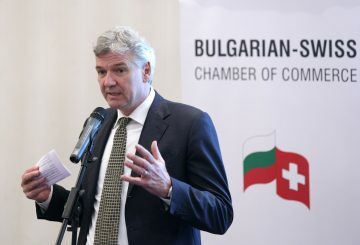 The Bulgarian-Swiss Cooperation Programme amounts to CHF 76 million committed in the period 2009 – 2014, as agreed in the Bilateral Framework Agreement signed between Bulgaria and Switzerland. The Programme aims at reducing economic and social disparities in the enlarged European Union, as well as in weak periphery regions in Bulgaria. All projects will be completed by the end of 2019. 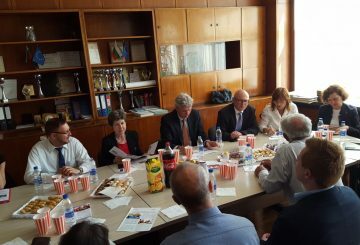 Switzerland is providing support in areas where Bulgaria has claimed great needs for catching up in its development, and in which Switzerland can offer know-how and expertise. The areas cover topics such as security and justice; support to the civil society; integrating minorities and vulnerable groups; environment and infrastructure; promotion of the private sector; research and education as well as bilateral partnerships. Bulgaria ranks 5th place of 13 partner states supported by the Switzerland’s enlargement contribution after Poland, Romania, Hungary and Czech Republic in terms of the amount of the Swiss support. The Programme supports 93 projects and 22 doctoral students and post-doctoral visits. Each project contributes to at least one of the five overarching Programme objectives: promoting economic growth and improving working conditions (12 % of the total budget); improving social security (17 %); improving public safety (10 %); protecting the environment (48 %); strengthening civil society (11 %) and support for developing projects (2 %). The largest project, financed by the Bulgarian-Swiss Cooperation Programme, is the project “Disposal of obsolete pesticides” which total budget amounts to CHF 23,4 million, of which CHF 19,9 is the Swiss contribution. The largest number of supported projects (36) is under the Civil Society Participation Fund. The partner public institutions co-finance the projects with 15% of the project costs, while the non-governmental organizations – 10 %. Thematic Fund Security supports Bulgarian institutions in enhancing public safety and fight against corruption and organized crime. Thematic Fund Research is focused on the bilateral scientific exchange and know-how transfer. Thematic Fund Scholarship supports research visits of Bulgarian doctoral s and post-doctoral researchers at Swiss institutes. Thematic Fund Partnership promotes the sharing of experiences between Bulgarian institutions and non-governmental organizations and their Swiss partners. Thematic Fund Civil society participation is geared to promote the civil society’s participation in the development of the country. 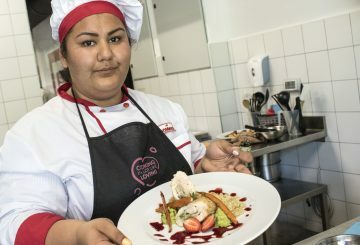 Thematic Fund Promotion of social inclusion of Roma and other vulnerable groups – Programme ZOV (Health and education for all) targets mainly Roma children at pre-school and early school age with the aim to better socialize, educate and integrate them thus to expand their future job perspectives. The Home care project sets up a system of home based medical and social cares, which helps to improve the quality of life of elderly people with chronic illnesses or permanent disabilities. Thematic Fund Introduction of dual track principles in the Bulgarian vocational education system (DOMINO project) contributes to the reform in the vocational education system in Bulgaria by developing modern dual education based on the Bulgarian traditions and the best Swiss and international practices. Project Disposal of obsolete pesticides pursues the collection, repackaging and environmentally sound disposal of obsolete pesticides, stored in warehouses all-over the country. Project Collection hazardous household waste introduces a sustainable model of separate collection of household hazardous waste, focusing on 22 municipalities. In five of them pilot centres will be constructed for temporary storage of collected hazardous waste. 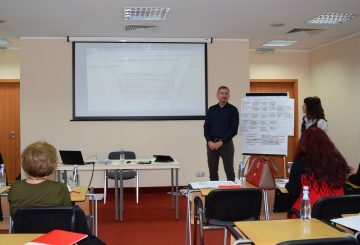 Project Green public procurement aims at reinforcing framework conditions for green public procurement in Bulgaria. Project Modernised trams for Sofia will provide 28 renovated Basel trams for Bulgaria’s capital and promote the use of the public transport system in Sofia as a mean to alleviate traffic jams, reduced greenhouse gas emission and improve air quality. A National Coordination Unit at the Council of Ministers is in charge of the implementation of the Bulgarian-Swiss Cooperation Programme in close collaboration with the Swiss Contribution Office (SCO), part of the Embassy of Switzerland in Sofia.